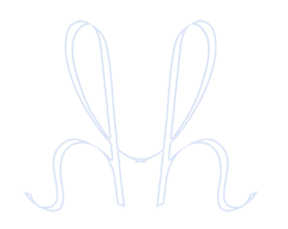 Described by The New York Times as a composer of works “often startling in their complexity, beauty and demonic fury,” Michael Hersch’s music been performed in the U.S. and abroad under conductors including Mariss Jansons, Alan Gilbert, Marin Alsop, Robert Spano, Carlos Kalmar, Yuri Temirkanov, Giancarlo Guerrero, and James DePreist; with the major orchestras of Cleveland, Saint Louis, Pittsburgh, Atlanta, Baltimore, Dallas, Seattle, and Oregon, among others; and ensembles including the String Soloists of the Berlin Philharmonic, the Chamber Orchestra of Philadelphia, Ensemble Klang, the Kreutzer Quartet, the Blair Quartet, NUNC, and the Network for New Music Ensemble. In recent years he has worked closely with violinist Patricia Kopatchinskaja, who has commissioned several works from him. 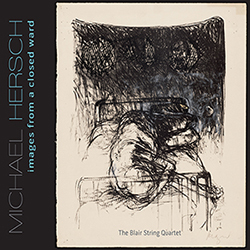 Hersch has also written for such soloists as Thomas Hampson, Midori, Garrick Ohlsson, Miranda Cuckson, Shai Wosner, Béla Fleck, and Boris Pergamenschikow. His solo and chamber works have appeared on programs around the globe - from the Chamber Music Society of Lincoln Center and Carnegie Hall in the U.S. to Germany’s Schloss Neuhardenberg Festival in Brandenberg and the Philharmonie in Berlin; from the U.K.’s Dartington New Music Festival and British Museum to Italy’s Romaeuropa and Nuova Consonanza Festivals. Performances in the far east include those with the Singapore Symphony Orchestra and Japan’s Pacific Music Festival. Recent and upcoming premieres include his Violin Concerto, with the Saint Paul Chamber Orchestra, the Avanti Festival in Helsinki, and the Lucerne Festival in Switzerland; the NYC premiere of Zwischen Leben und Tod, at the newly established National Sawdust, and new productions in Chicago (Ensemble Dal Niente) and Salt Lake City (partnership between NOVA Chamber Music Series and Utah Opera) of his monodrama, On the Threshold of Winter.The two-act work premiered in 2014 at the Brooklyn Academy of Music. Of the premiere The New York Times noted: “Death casts a long shadow over the recent work of Mr. Hersch … But in On the Threshold of Winter Mr. Hersch has given himself the space to burrow past anger and incomprehension in search of an art fired by empathy and compassion.” Over the past several years, Hersch has also written new works for the Orpheus Chamber Orchestra, Alban Berg Ensemble Wien, the Library of Congress, and Holland’s Ensemble Klang. Other notable recent events include European performances by the Kreutzer Quartet of Images From a Closed Ward in the U.K. and Sweden, and the premiere of Of Sorrow Born: Seven Elegies, a work for solo violin commissioned by the New York Philharmonic, premiered at the orchestra’s Biennial. Current projects include a co-commission by the Ojai Music Festival, Cal Performances Berkeley, the Aldeburgh Festival, and PNReview, with a world premiere scheduled for a June 2018, and an upcoming residency with the Camerata Bern in Switzerland in 2019/20. 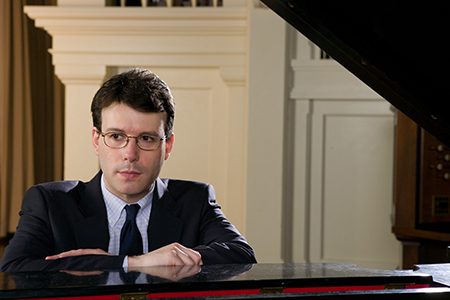 Born in Washington D.C. in 1971, Michael Hersch came to international attention at age twenty-five, when he was awarded First Prize in the Concordia American Composers Awards. The award resulted in a performance of his Elegy, conducted by Marin Alsop in New York's Alice Tully Hall. Later that year he became one of the youngest recipients ever of a Guggenheim Fellowship in Composition. Mr. Hersch has also been the recipient of the Rome Prize, the Berlin Prize, the Goddard Lieberson Fellowship from the American Academy of Arts & Letters, and many other honors. Also a gifted pianist, Mr. Hersch has appeared around the world including appearances at the Van Cliburn Foundation’s Modern at the Modern Series, the Romaeuropa Festival, the Phillips Collection in Washington D.C., Cleveland's Reinberger Chamber Hall, the Festival of Contemporary Music Nuova Consonanza, the Warhol Museum, the Network for New Music Concert Series, the Left Bank Concert Society, Festa Europea della Musica, St. Louis' Sheldon Concert Hall, and in New York City at Merkin Concert Hall, the 92nd St. Y - Tisch Center for the Performing Arts, and Carnegie Hall’s Weill Recital Hall, among others. Mr. Hersch currently serves as chair of the composition faculty at the Peabody Institute of the Johns Hopkins University.